Do You Want More Inbound Leads? Dumb question, we know. Everyone wants more inbound leads. 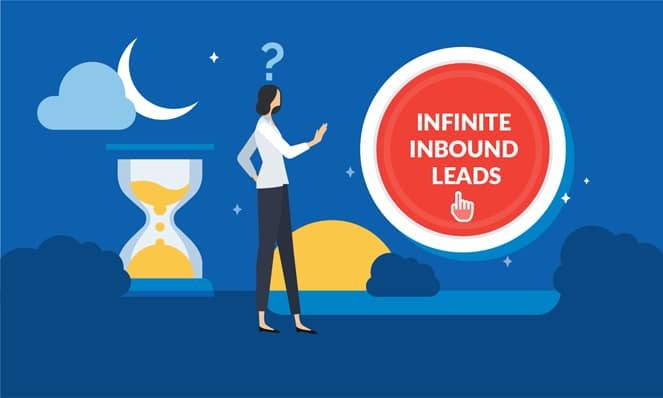 How exactly do you get inbound leads flowing in? 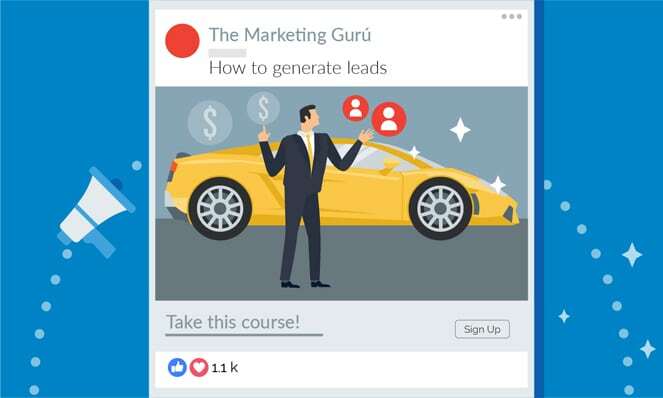 There are about a billion digital marketing tactics and no shortage of “gurus” on Facebook ads with their lambos and programs/courses “guaranteed” to bring you to the promised land. So, how do you wade through the hype, buzzwords, scams, and lambos to determine the best sets of activities to reach your goals? You may not like the answer, but it’s not going to be easy. It’s not going to take 30 days. Most likely, it’s going to take more than 60. You’re also not going to press a button and have it appear without getting your hands a bit dirty, at least in the beginning phase. What are you presently doing marketing wise? What is your SEO profile (domain authority, trust ratio, keywords you’re ranking well for, target keywords, on-site approach, content plan, internal linking architecture…we could keep going for a while on the never-ending list of important items for SEO). Once you can figure out how to get people to your website, what are you doing to convert them to become actual leads? Once you can figure out how to get people to your website, what are you doing to convert them to become actual leads? What do your analytics look like? (hopefully, you have Google Analytics in place). Are you using a CRO analytics software as well to combine with Google Analytics + Google Search Console? CRO software shows you heat maps of where people are physically clicking on your pages, click paths, and even literally show live mouse sessions to see what people are doing on your site (borderline creepy to watch if you’ve never seen before). Are you leveraging infographic marketing as a powerful way to acquire high domain authority links and PR coverage? Don’t just take our word. Hubspot conducted a study that found that 78% of CMOs felt that infographics were still a big part of content marketing’s future. To that we say, we get it. We’ve struggled with perception of what we do for about a decade now, given our company name (thanks a lot Justin…..okay, you caught me. This is Justin. I just spoke in the 3rd person. Please don’t click off the page in retaliation). It’s actually part of why we rebranded to IGW a few years back. The reality is, we’re not an infographic company or animation company, or a deliverable company of any kind. We’re a visual marketing agency. Huge distinction. We’re the meshing point of where the science of visual learning meets marketing, and we’ve been helping the biggest brands in the world market and sell better through leveraging these powerful visual deliverables. NOTE: while these above logos are VERY pretty and make us look pretty cool, we do NOT only work with Fortune 500 companies. Truthfully, our sweet spot is actually in the small to mid-market tech space. Bonus points if you’re a funded tech company with a major growth mandate on your plate that’s trying to figure out the best way to add rocket fuel to your marketing efforts and scale the company. Marketing Activation: need help on the SEO side of things? CRO? PPC? Other 3-letter acronyms we can’t think of this moment? We bring in expert partners in every area of digital marketing to bring you world-class talent and execution to physically bring you to your goals in any way you need assistance. It won’t be cheap. How else are we supposed to pay for our lambos? But seriously, if your expectation is to spend a few thousand dollars overall and have an inbound lead evergreen tree grow outside your office window, you’ll be disappointed. To do this right, it’s a true investment. It’s an investment of trust, investment of time, and investment of budget. You won’t need to go take out bank loans to work with us, but we do find the average monthly retainer is somewhere between 5-15k per month. That said, we build accountability into everything we do, so you can press the eject button at any point if you don’t feel we’re the right fit. Month one is all about setting the proper FOUNDATION; deeper research, brand onboarding, getting access to everything we need (ie: analytics, website backend, social pages, etc. ), identifying software and tools you need to buy, brainstorming and coming to you with content we believe should get built right away, getting started on that content, determining on-site SEO fixes, formulating an off-site game-plan, initial pitching for link-building, identifying PR opportunities, etc. Month two is where things truly begin in terms of marketing activation. You’ll likely start to see SOME results in month 2 midway to near the end, but don’t expect anything too crazy. Month 3 begins the put up or shut up phase. By the end of month 3, both sides should have a very strong idea if we’re a mutual fit. There should be major momentum building, results starting to come in at a solid clip, major rankings movement, etc. This momentum is what we will build off of the rest of our working relationship together. SO, if you’re still with me after these 3 catches, the next steps await you…. You’ll be clicking on THIS LINK to give us some basic information about your company. Typical questions like what is it exactly that you do, what products/services do you sell, and a few questions on goals. These are general background questions for us to know before we speak. While they’re typical questions, it’s crucial that you fill them out thoroughly. The more thorough you are, the better suited we are for a successful conversation, as I’ll be armed with the right info to make the most productive use of our time. After you fill out the form and schedule a call with me, we’ll get together to talk about your business. I’m a voracious learner. I want to know everything relevant you feel like sharing. I’ll already have gone through your website, ran it through various tools, studied the various pages of the site, looked over recent blog content, etc. But nothing beats your own words, trials and tribulations, and overall context. This first call will probably be about 30 minutes. Mixed in with the learning will be on the spot brainstorming and working towards a plan to bring you success. Here’s what WON’T be happening; me selling you. I don’t hard sell. I actually hate selling. The thing I DO love though is strategizing to bring someone to their goals. Digging through every detail, running every analysis, looking at Point A and Point B and determining the best path to get there and how to avoid the pitfalls we’ve experienced in the past and learned from or heard about others doing so. I’m not going to sell you on some plan so we can make more money (don’t forget about the lambos….which for the record I’m actually a Ferrari guy, but I digress). I’m going to run through every scenario I can to ensure that we’ve accounted for every detail and that we’ve got a plan that is going to accomplish your goals. So that’s the deal. No matter what, simply by filling out the above form and having a 30-minute call with me, you are going to get value. That I can promise you. Some idea you didn’t think of. Some item pointed out that you didn’t consider. Some case study that sparks a thought that leads to a killer idea. I can’t tell you what it will be going in, but you’ll leave with value. For free. So that’s your worst-case scenario. You spend 30 minutes on the phone with me and my sense of humor, got some value and free advice. I’d imagine there are worse things. You’re still reading at this point if you are looking for the solution to your scaling problem or way to fulfill on the growth mandate in front of you. You’re ready to take action, put in the initial work, and reap the benefits of having found the right partner, someone who is going to obsess over your business like I do with mine. If this is you, click the button below and let’s get to work.